We created Zip Zap in 1992, just before South Africa’s first democratic elections. Many people had fled the country, fearing civil war. 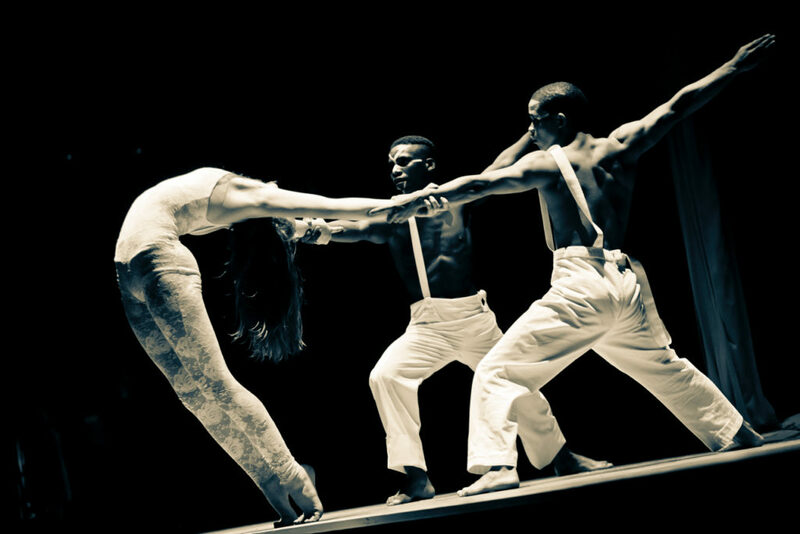 Zip Zap was a “2-cent idea,” a “drop in the ocean”—a social project using circus to create unity in our country, bringing together young people from diverse cultures to learn, work, and play together as equals during their formative years. Since its inception, Zip Zap has always been free of charge and open to all. Nobody who wants to be a Zip Zap Kid is turned away. There is no talent audition, so we are able to unite children from all economic, cultural, and racial backgrounds as one circus family. In 1994, Zip Zap was the first multiracial group to present a performance at the Grahamstown festival! Our vision was simple: teach kids who are different from one another that they really are not that different at all, and to provide opportunities for them to discover the possibility of doing something bigger than themselves. Circus provides an ideal framework for that demonstration. In circus we do things that do not seem possible. We take risks to make something beautiful. And most of all, we do—in a very literal sense—depend on and support each other as partners. Since then, we have had a dynamic history of successes and developments! In 1995, Zip Zap was invited to perform for former president Mandela’s 77th birthday. In 1996, we had our first overseas performance in Denmark, representing the new South Africa at the “Images of Africa” festival. By 1997, we had begun our first theatrical collaboration with the national theatre, and by 1998, we were able to register Zip Zap as a Trust committed to alternative education. In this year we were also able to sign our first sponsorships and secure two years of funding! This enabled us to rent a 2000-square-meter warehouse. We had taken two big steps: having a space big enough to host events, run classes, and set up our flying trapeze indoors; and learning to manage funders’ finances, reports, and visibility. In the new millennium, we wanted to reach out to more youth, so we began to teach workshops in schools and parks, in townships and suburbs. Our kids came together in extraordinary ways. They became the closest of friends, they forged a bond of family. But they also did much more. In 2001, our first group inspired us to create a “professional wing,” which later turned into our “Young Adult Training and Job Creation Programme,” currently called D2D (Dare to Dream). Passionate about circus, four of our boys decided to go towards a professional performing career abroad. We designed a new program to teach them all the necessary skills to be independent in a foreign country. They learned to build and repair their equipment, to edit their music, to design their costumes, to drive trucks, to rig, how to read contracts, to fill out visa applications, and how to speak in public. 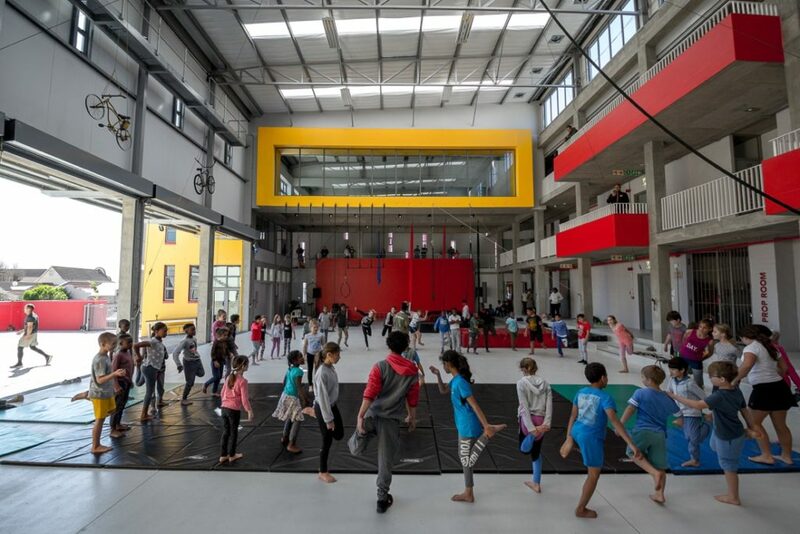 By 2003, Zip Zap was able to open its own students’ residence and started a welfare programme to help dedicated students and teachers pursue their circus careers. We were able to send our second troupe—this time three girls—off to Switzerland. In 2005 Zip Zap registered as a Non-Profit Organisation with the Department of Social Development, which was a necessary step to receive funding from trusts and foundations. 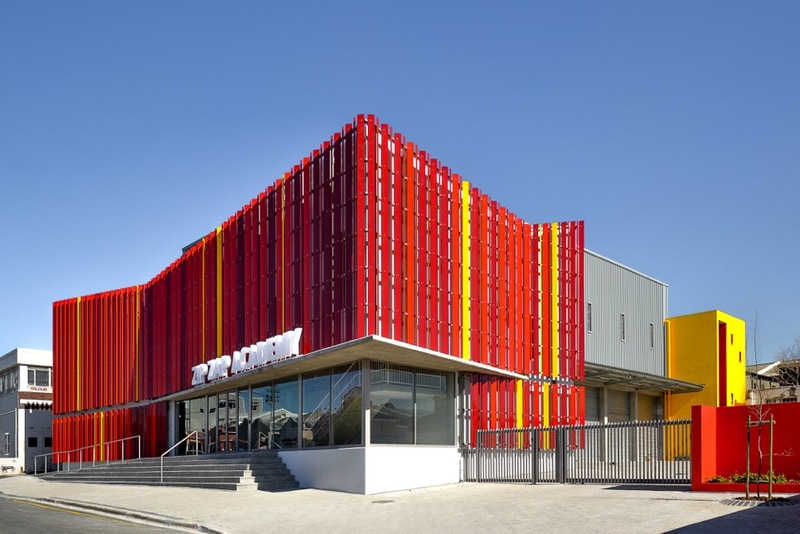 That year, in partnership with Doctors Without Borders and Cirque du Soleil, Zip Zap opened its first official outreach project in Khayelitsha (the second biggest township in South Africa) for children living with HIV. We have continued to achieve exciting developments almost annually over the past decade. In 2008, Zip Zap moved to its own purchased dome in a property leased from the Department of Public Works in the center of the Art precinct in Cape Town, and from there we have been able to develop all kinds of new programs, services, and events. Not only has our organization Our Zip Zap Kids have performed for presidents and world leaders and have completed more than thirty international tours and numerous international media showcases. Our annual programme of free performances around South Africa are highlights in many communities and have been seen by millions. Kids who began as six-year-olds swinging from a trapeze tied to a tree are now professional performing artists working in Europe and North America. Young people who grew up on the street are now skilled and valued artists and technicians in the entertainment and film industries. Best of all, our kids are becoming teachers themselves. They are ambassadors and role models for others, demonstrating to the public the possibility of a new way of being with each other. This journey has not been an easy one. We have had to learn how to meet challenges, to deal with differences, and to manage and resolve conflicts. 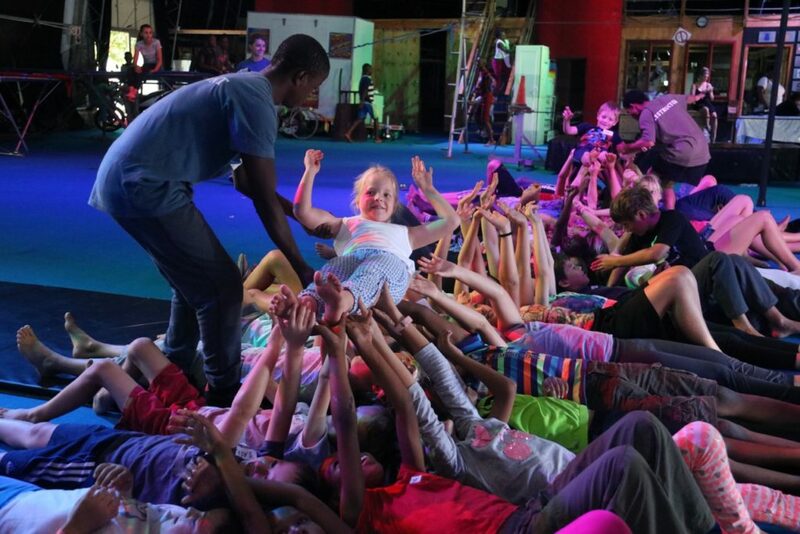 In learning and sharing these lessons both within and outside of South Africa, Zip Zap has become a part of a growing international movement of social circus organisations traveling similar paths. We have had the opportunity to share and exchange learning with colleague groups and young people in North and South America, Australia, and Europe. Our kids have become global citizens. 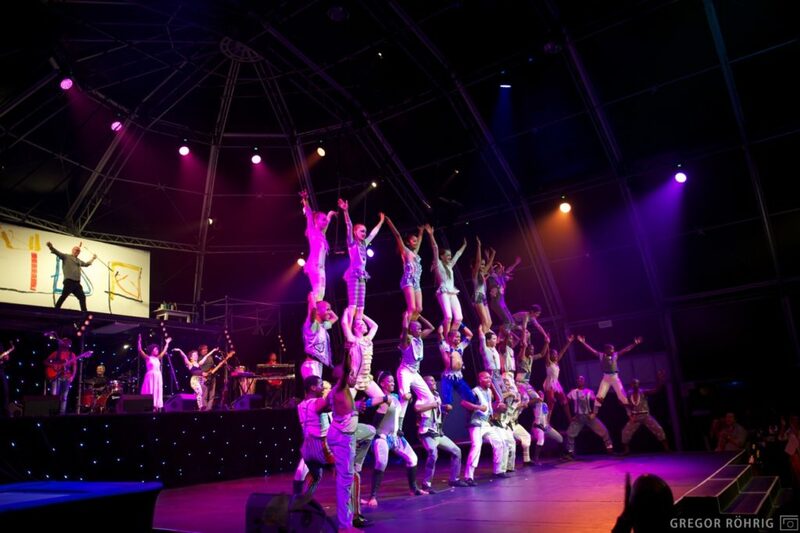 One of the biggest challenges that social circus faces in South Africa is that there is no circus culture, meaning there is no accreditation by the department of education, and it is not recognized as an art form by the department of arts and culture. For our students, not only does this mean there is no government funding, but it also means there is no hope to find a job in the circus industry locally once they finish their training at Zip Tap. So why would they train? We also couldn’t find teachers, so we had to create a program to train our own teachers: Dare to Dream (D2D). This turned out to be a solution to several major problems, both within and external to our organisation. D2D allowed us to give young people a new shot at life, address the skills shortage in several industries (performing arts, social work, education), and develop our own human resources at Zip Zap, all while contributing to job creation and redressing high levels of youth unemployment. The pay-it-forward system of D2D has populated the organizational chart of Zip Zap, bolstering our sustainability. Slowly, one child at a time, the Zip Zap “graduates” did get jobs—not only at Zip Zap itself, but also in social work, education, entertainment, and other fields. Not only have we had to educate our government about social circus, we have also had to educate our audiences. In South Africa, the public is not used to paying for art—there are always street events and free shows in shopping centers to attract shoppers. Art is also at the bottom of the priorities of local schools who battle just to have classrooms and teachers, toilets and telephones. Arts and Culture are also low priorities in government funding. Against this, we decided to go for a hybrid social enterprise, with our graduates becoming the instructors for our other 10 programmes, serving around 1900 children each year. Our graduates also travel the world as performers, bringing back income to invest back into the school and its development programmes. Our persistence and consistency have paid off, as the Department of Cultural Affairs and Sport has noted the efficiency of Zip Zap’s D2D project and has offered to support it through both Arts & Culture funding as well as the Expanded Public Works Programme. This hybrid format helps us to deal with fluctuations in grants. Nearly half of our total income is generated by our shows, with another quarter coming from donations and fundraising. Trusts and foundations still comprise around a quarter of our budget, and we have a small trickle of additional income from other programs such as space and equipment rental. We also make use of many partnerships and collaborations to decrease costs, from local to international programs and networks. These partnerships not only provide funding but also much-needed expertise. Now with a dedicated Resources team, a systemization of our approach, and a focus on developing personal relationships with current and potential funders, we are confident that we can meet our funding goals. We could not do the work that we do however without our dome location. And while both the city and the province have recognized the value impact of Zip Zap and are looking to actively protect Zip Zap’s future within the mother city, the reality is that Cape Town is developing at a fast pace and land is becoming too valuable to let a circus tent stay in the heart of the city while providing minimal revenue. Fortunately, Zip Zap has been lucky enough to enter into an agreement with a private investor for a 10-year lease of a second building in Salt River. Our biggest challenge is still to come: handing over Zip Zap after Brent and I move on. For now, I drive my team to do the best we can for our children, to say thank you to all the people who believe in what we do, and to be honest and accountable for our actions. While we don’t plan to move on very soon, we hope that the longevity of Zip Zap beyond our years will reflect the true success of our “2-cent idea” from 1992. For more information about volunteering with Zip Zap, please visit this link.